Tate has just announced that the German electronic music pioneers Kraftwerk are coming in February to play at the Turbine Hall. 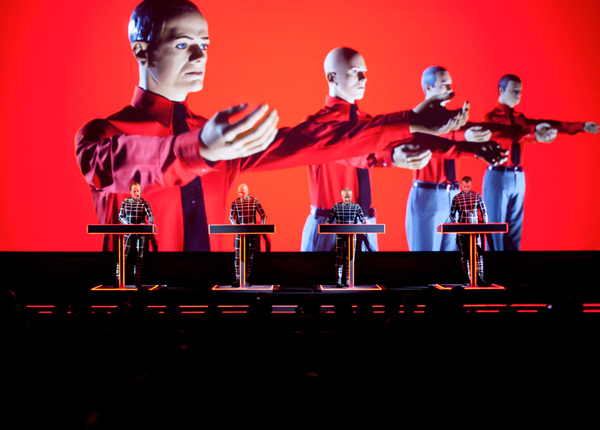 KRAFTWERK – THE CATALOGUE 1 2 3 4 5 6 7 8 will consist of eight concerts, each night covering one of the group’s full albums. They will be performed chronologically, so as of Wednesday 6 February you can see Autobahn (1974), Radio-Activity (1975), Trans Europe Express (1977), The Man-Machine (1978), Computer World (1981), Techno Pop (1986), The Mix (1991) and Tour de France with 3D projections, animation and all the rest. 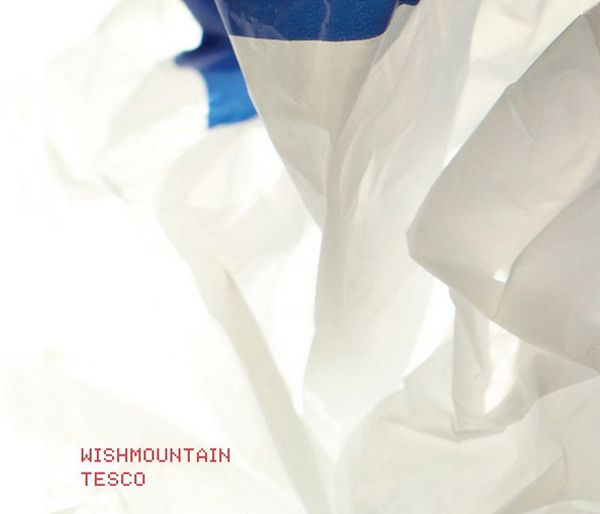 Wishmountain – one of many monikers of British electronic musician Matthew Herbert – has released a new album titled Tesco, crafted entirely from samples made by manipulating 8 best selling brands (a.o. coffee, toilet paper, energy drink, crisps etc) in a uk supermarket. 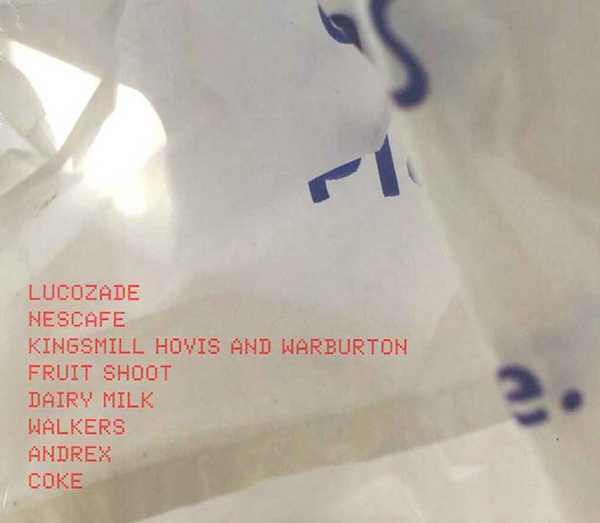 Tracklist titles: Lucozade, Nescafe, Hovis and Kingsmill Warburton, Fruit Shoot, Dairy milk, Walkers, Andrex, Coke. The whole project apparently took just 4 days to complete, an efficiency one needs to salute! For more in-depth analysis see an article on Pitchfork and you can listen to the samples on Dummy. There’s plenty of great events you can visit this week as part of the London Design Festival. 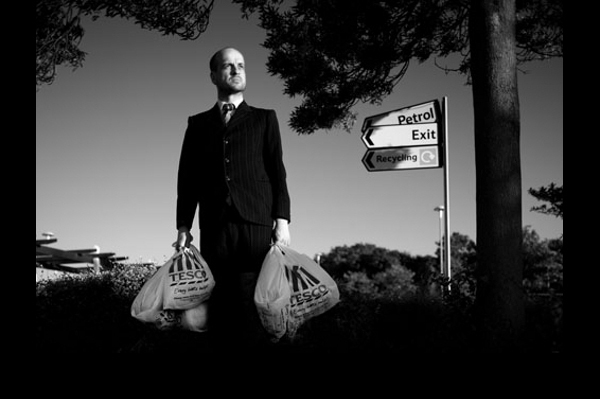 To help you pick, here’s a selection by Steve Rose from The Guardian and by Ben Evans, the Festival’s director. One event we wouldn’t want to miss will take place this weekend @ V&A Museum. 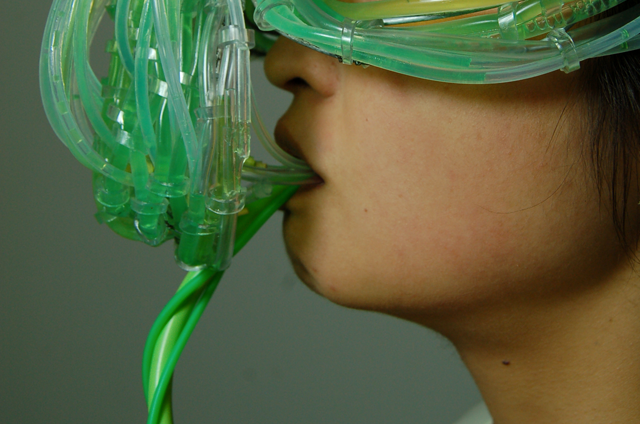 Titled The Algae Opera, it is a collaborative project of the After Agri collective (Michiko Nitta and Michael Burton) with a mezzo-soprano Louise Ashcroft, in which the opera singer gets transformed with biotechnology to form a unique relationship with algae. Algae, a photosynthetic plant-like organism will feed on the carbon dioxide in the singer’s breathe. As an important future food source, the singer’s algae can also be eaten – so alongside listening to her music, the audience can also taste her song. To increase the growth of the algae the body of the singer is trained to use her and large lung capacity to produce the highest quality algae-product. The composition of the song and the singer’s vocal technique are redesigned to specifically produce algae and enrich its taste. To do this, the composer and singer use the new science of sonic enhancement of food where different pitches and frequencies make food taste either bitter or sweet. The Algae Opera is a part of Digital Design Weekend @ V&A. Performances will take place at 13.00, 14.00, 15.00 and 16.00 on the 22nd & 23rd September.